One person is dead and two are injured after a bizarre incident in which two men disguised as women rammed a stolen car into the gates of the National Security Agency headquarters in Fort Meade, Maryland. As the black Ford Escape SUV sped toward the barrier at around 10 am Monday morning, a security guard opened fire, stopping it in its path. One of the men inside the car was declared dead immediately, and paramedics delivered a 20-year-old and a 44-year-old to a nearby hospital, though it remains unclear how they sustained their injuries. "The shooting scene is contained and we do not believe it is related to terrorism. We are investigating with NSA police and other law enforcement agencies," the FBI office in Baltimore said in a statement. "Our evidence response team is processing the crime scene, and FBI agents are doing joint interviews with witnesses. We are working with the US Attorney's Office in Maryland to determine if federal charges are warranted. We have no further information at this time to release." A highly-placed official unauthorized to speak openly has said to NBC News that the incident was likely a "local criminal matter." A search of the stolen vehicle unearthed a quantity of drugs and a gun. Fort Meade houses 11,000 military staff and 29,000 civilian employees. 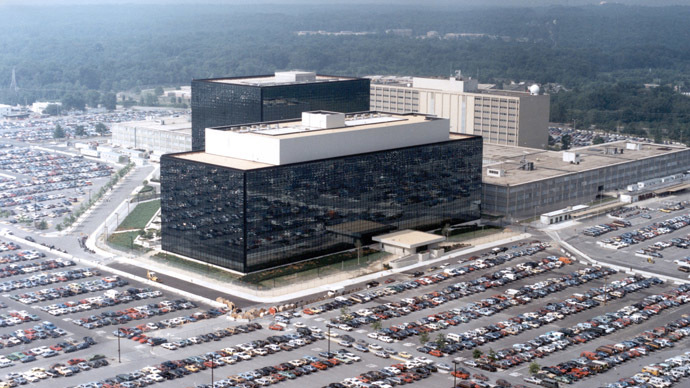 Former prison guard Hong Young was arrested earlier this month after a spate of shootings in the area, which resulted in several of the bullets hitting the NSA building, though it remains unconfirmed if it was targeted deliberately.